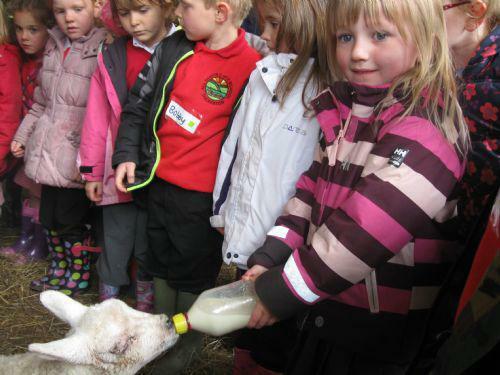 Rabbit Class visited a farm in Brompton Regis this week. While we were there we saw lots of animals including sheep, cows, chickens, a dog and a cat! Colin the farmer was very friendly and told us about the different breeds of cattle on the farm, and that his cattle were bred for meat and were not a dairy herd. 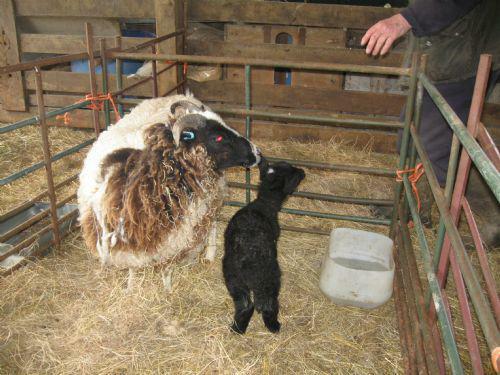 We were allowed to feed some of the tame lambs, which was really fun. One even nibbled Miss Blake's fingers! 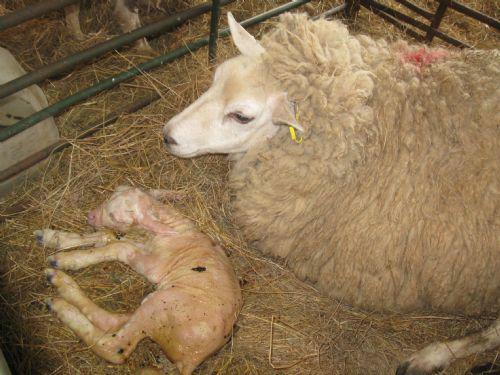 And then something very special happened; we watched a lamb being born! We saw some feet first, then the lamb's head and Colin gave the lamb a little pull to help him out. Over the day we met lots of baby animals and were lucky enough to be able to name some born in the last week. We called a little black calf 'Edward' and a little black lamb 'rainbow' and the little lambwe saw being born is now called 'Ben'! We had a wonderful morning at the farm, and learnt so much about the role of the farmer and his animals. We even got a bit of numeracy work done, making tallies to record how many sheep and cows there were! Thank-you to Colin for showing us around the farm and the animals, we had a great time!